After more than 20 years, Toyota is finally bringing back its heralded sports car, the Supra. 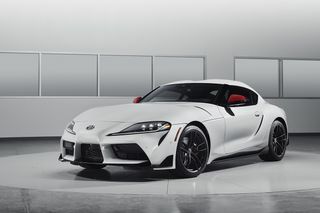 The 2020 GR Supra will start at $49,990, but prior to the general release, Toyota is unleashing a limited run of 1,500 production Supras in the U.S. 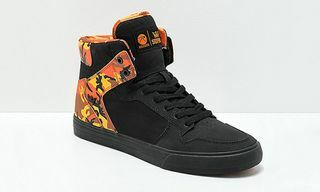 The Launch Edition Supra starts at $55,250, as each model comes with exclusive features and is individually numbered. 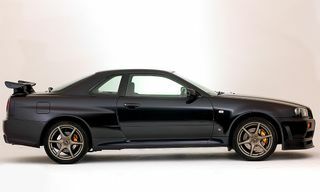 Exterior colors for these initial Supras are limited to Absolute Zero White, Nocturnal Black and Renaissance Red 2.0. The sports car also boasts high-contrast red mirror caps and 19-inch forged matte black alloy wheels. The Absolute Zero White and Nocturnal Black Supra Launch Editions feature red interior, in addition to racing-inspired seats done up in leather, red leather steering wheel grips, and a red center console with carbon-fiber accents. 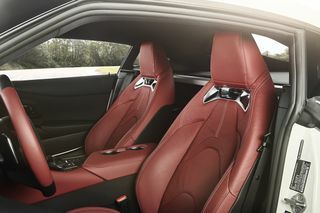 The Renaissance Red 2.0 version has black leather-trimmed interior with carbon fiber accents, black seats, a black steering wheel, and a black center console. 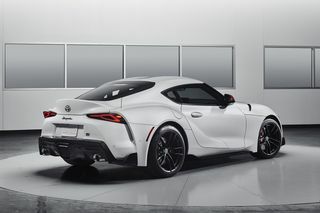 The 2020 Supra will be available in 3.0 and 3.0 Premium grades, both powered by a 3.0-liter turbocharged inline six-cylinder engine that cranks out 335 hp and 365 lb-ft of torque. 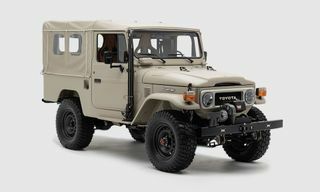 The car also has an 8-speed automatic transmission with racing-style paddle shifters. 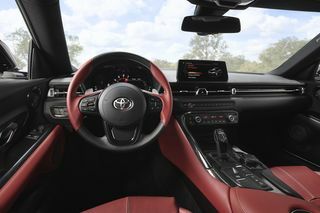 The 3.0 Supra comes with a 6.5-inch display with Bluetooth and iPod capability, as well as Alcantara seats. Navigation and JBL Audio are available as add-ons for an additional $2,460. 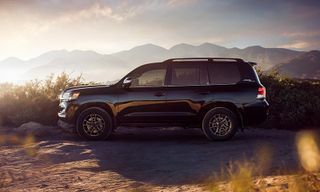 The 3.0 Premium grade features an upgraded 8.8-inch wide-format touchscreen display with Navigation, Supra Connect telematics services, wireless Apple CarPlay, a premium 12-speaker JBL audio system, wireless phone charging, a color Head-Up Display, and heated, leather-trimmed seats. The 2020 Supra Launch Edition, which goes on sale this summer, is based on the 3.0 Premium grade. In other automotive news, Hyundai has revealed an insane walking car concept.